GOOGLE I/O 2004, SAN FRANCISCO — What is Android? It’s hard to know these days, and I’m not sure if that’s good or not. We all know what happened when Microsoft began seeing Windows as a common operating system for everything from embedded systems to desktops to phones to servers. By trying to be reasonably good at everything, Windows lost its way and ceased being the best platform for anything. Once upon a time, Android was a free operating system for smartphones, conceived of as a rival for Symbian and (believe it or not) Windows Mobile. Google purchased Android Inc. in 2005; the Open Handset Alliance launched in 2007; and the first smartphone running Android appeared in 2008. Today, Android-based phones dominate the market, with the most visible handset makers being Samsung and LG. Some estimates show that at the end of 2013, more than 81% of all smartphones were running Android. From its origins in smartphones, it was natural that Android would expand to tablets. Although no Android tablet has emerged as a clear market leader, there are many manufacturers, from Samsung to Amazon to Google to Asus. While Android has decisively eclipsed Apple’s iPhone in the smartphone market, the iPad still defines tablets. What else? Android is now an operating system for head-mounted displays, smartwatches, wearables, televisions and automotive entertainment systems. We’re all familiar with Google Glass, which is based on Android. The company is working hard to recruit developers to build Glassware. This spring, Android announced Android Wear, which is described as “your key to a multiscreen world,” especially if one of those screens will be a smart watch. A few companies, including LG, Samsung and Motorola, have announced watches. Google is clearly interested in cars, and not only because it wants to build self-driving vehicles. A few aftermarket audio system makers have used off-the-shelf Android as the driver in replacement automotive head units. This week, Google announced Android Autoas a competitor to Apple’s iOS-focused CarPlay. As with smartphones, Google set up a vendor alliance — in this case, the Open Automotive Alliance — to developer industry specifications and to drive alliances with car manufacturers. From the looks of things, Android is now intended to become a general-purpose operating system. Good for embedded, small-footprint, app-based, highly connected devices. 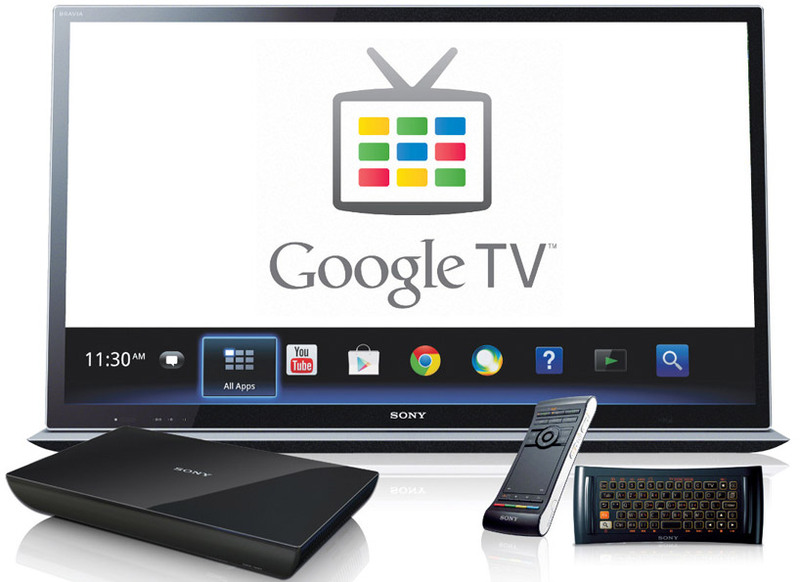 Google’s emphasis, though, isn’t on the hardware, but on that increasingly multiscreen world. With screens spanning the wrist, phone, tablet, head-mounted displays and televisions, Android looks to be everywhere. And that means that Google Play will be everywhere. Thus Google advertisements everywhere too. I mean, duh. I guess that’s the future of computing: Android Everywhere.